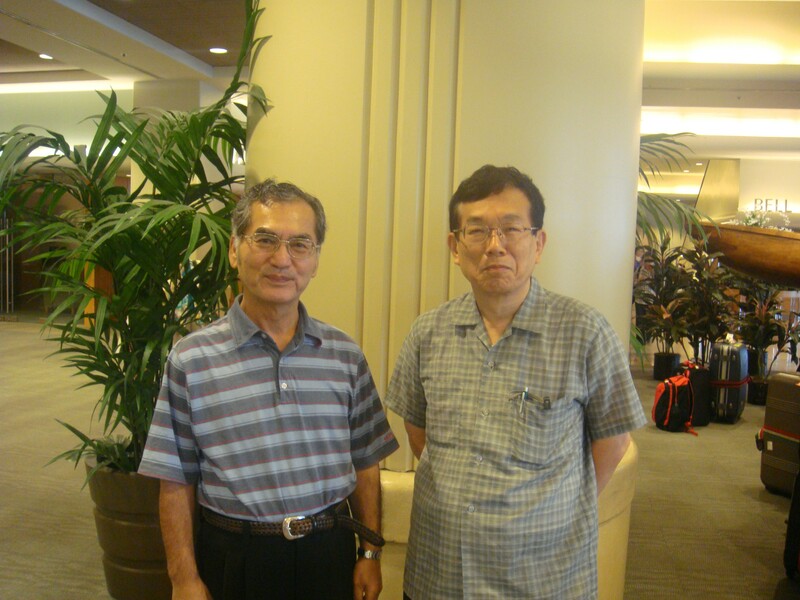 Hoshino attended ASSA (Allied Social Science Association), Philadelphia. 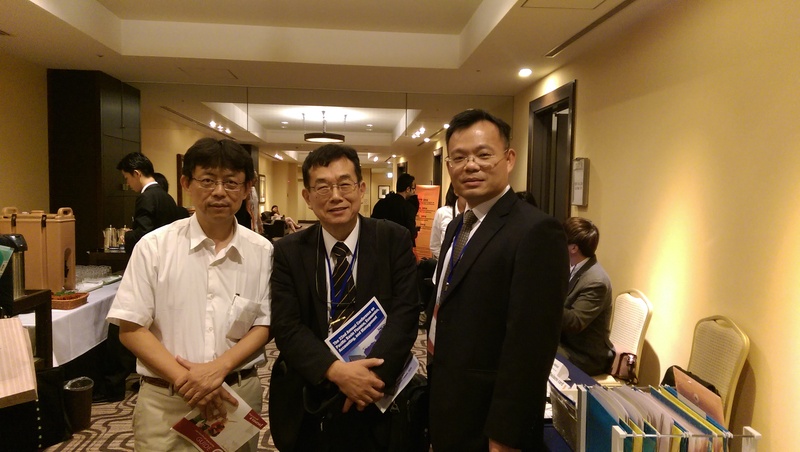 Hoshino attended the 9th BMLE International Conference, Kuala Lumpur. He visited Otago University for his research. 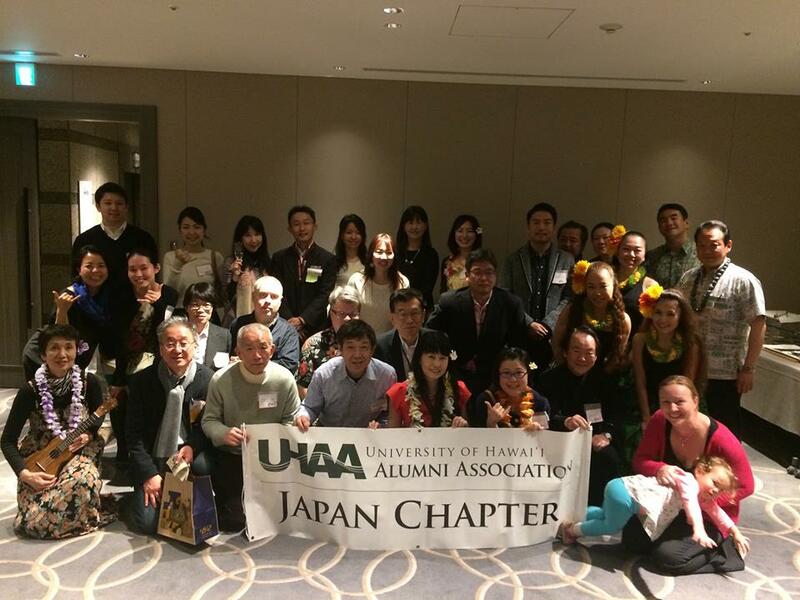 He joined the meeting of University of Hawaii Alumni Association Japan at Tokyo. 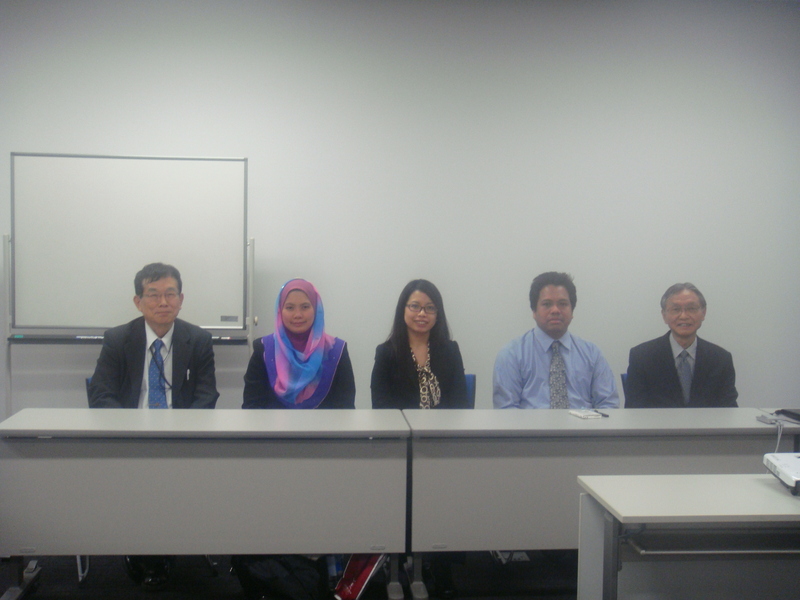 Dr.Abdul Hamid and Dr.Cheong (University of Technial Malaysia, Melaka, Malaysia) visited Aichi University. was held at Aichi University. 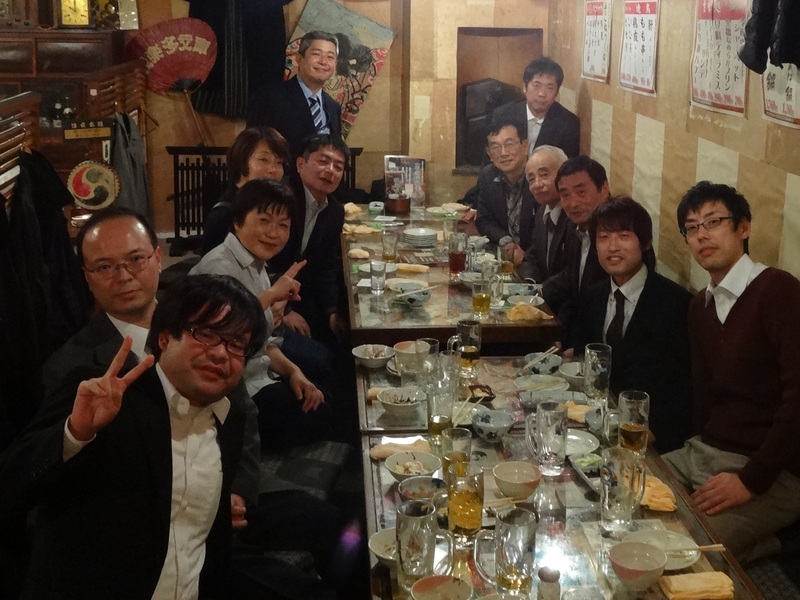 Hoshino held a meeting for the 18th Annual Convention of JAAS. Hoshino attended Memorial Symposium of Toa Dobun Shoin. Best Paper Award at the Malaysian Technical Universities Conference on Engineering & Technology Melaka, Malayia. "Foreign Direct Investment and Performance of Japanese Subsidiaries in Malaysia"
Hoshino attended ICEFB/ISCAL/ISML/ISS 2014 ANA Crowne Plaza Hotel Grand Court Nagoya with Mohd Fazli Mohd Sam. 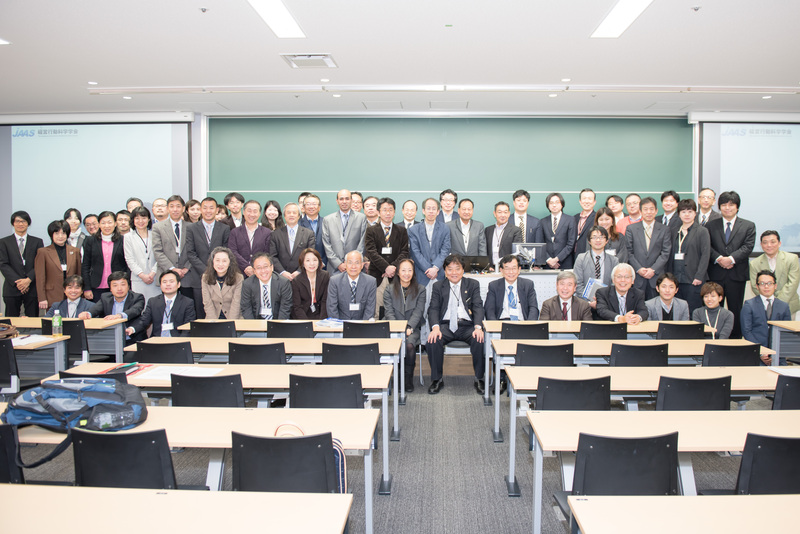 22nd Pacific Basin Finance, Economics, Accounting, and Management conference was held at Aichi University. sponsored by The Institute of International Affairs, Aichi University was held. "The Influence of Host Country Experience on Backward Venturing"
Journal of Transnational Management Vol.19 No. 1, pp. 3-23. Nurul Zarirah Nizam arrived Aichi University, Japan from Universiti Teknikal Malaysia Melaka. He visited SLB Library and New York Public Library to get data and literature of international joint ventures and mergers. Park Hyatt, Melbourne, Australia. Abstract: page 34. Research Seminar "Performance of Asian and Japanese Companies" was held at The Institute of International Affairs, Aichi University. 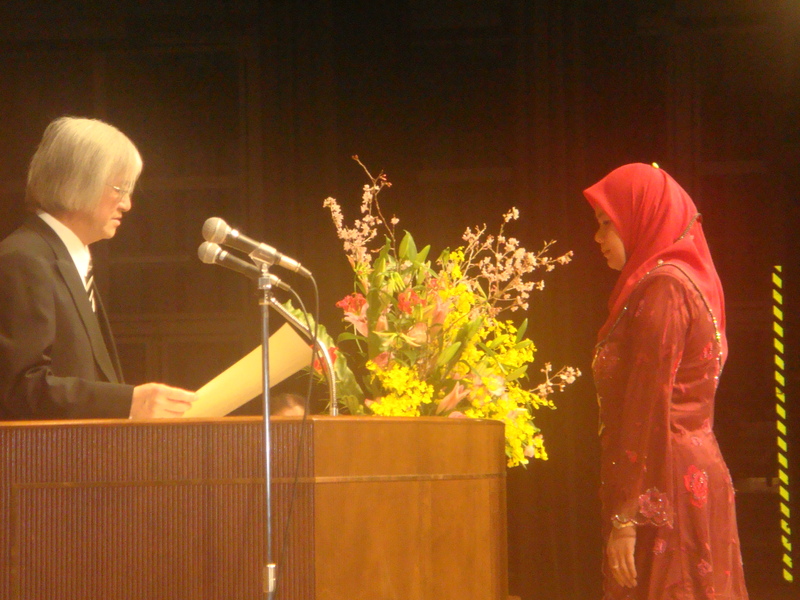 Norhidayah Mohamad received a Diploma of Ph.D. from President of Aichi University. "Host Country Restrictions, Choice of Entry Mode and Japanese Subsidiaries Performance in Developing Countries"
American Journal of Economics 2013, 3(1) pp. 12-17. Dean and Cief, Technology Management and Technopreneurship, Universiti Teknikal Malaysia Melaka visited Aich Institute of Technology. Dean and Cief, Technology Management and Technopreneurship, Universiti Teknikal Malaysia Melaka visited Hoshino. "Entry mode, corporate characteristics and profitability of foreign companies in Japan"
Elixir Inter. Busi. Mgmt. 51, pp. 11008-11018. "Japanese MNCs Investment Objectives and Subsidiary Performance"
International Journal of Business and Management,　Vol. 7, No.19, pp. 132-148. "The Adoption of Computerized Accounting System in Small Medium Enterprises in Melaka, Malaysia"
International Journal of Business and Management, Vol. 7, No. 18, pp. 12-25. Hoshino attended the 20th Annual Conference on Pacific Basin Finance, Economics, Accounting, and Management at Rutgers Business School. 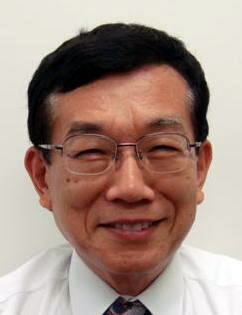 "Survival and Financial Performance of Japanese Subsidiaries in Malaysia and Thailand"
Hoshino was appointed as a Director, Japan Federation of Management related Academies. "Modes of acquiring host-country experience and performance of international joint ventures in Japan"
at Chubu Regional Association of Japanese Association of Administrative Science and Institute of International Affairs, Aichi University. His new book, "A Study of Corporate Mergers in Japan, Empirical Studies by Accounting Data"
was published by VDM Verlag Dr. Müller. You can buy from amazon.com. He joined PBFEAM conference at Grand Hotel in Taipei, Taiwan as one of Program Committe Members. He joined the 235th anniversary of the Independence of the United States of Aerica. 4. right: President of Nanzan University, Michael Calmano, S.V.D. He joined AIB conference in Nagoya, Japan. 4. from left Prof. Iguchi, Rikkyo University, Prof. Imao, Mie Uni., Hoshino, Prof. Murayama, Seattle Uni. & Prof. Ohtowa, Hiroshima City Uni. He joined AJBS conference in Nagoya, Japan. He became a councilor of JAPAN-UNITED STATES EDUCATIONAL EXCHANGE PROMOTION FOUNDATION (Fulbright Foundation). His new book "The Anatomy of Japanese Business, Routledge Library Editions, Volume 16"
(ISBN: 978-0-415-59188-1) was published by Routledge. He joined Asia-Pacific Business Research Conference at Hotel Istana, Kuala Lumpur, Malaysia. 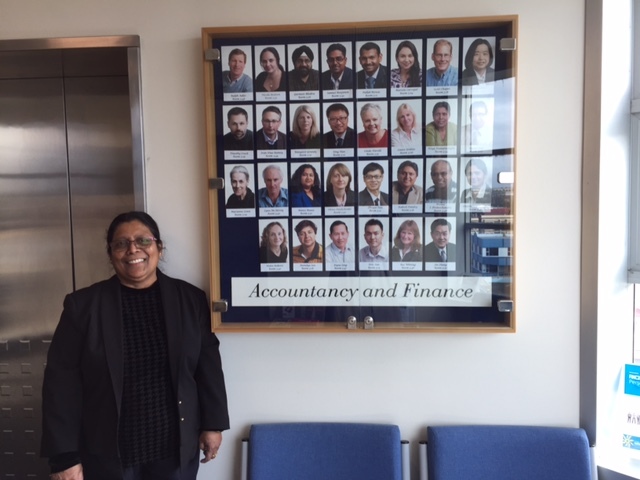 "The Role and Perceptions of Middle Managers and Their Influence on Business Performance: The Case of Sri Lanka"
International Business Research, Sriya Kumarasinghe & Yasuo Hoshino, October 2010, 3/4, 3-16. "Assets growth, foreign ownership and type of industry in multinational companies"
He visited New York City to get data and literature of international joint ventures and mergers. He participated Annual General Meeting and Reception of UC Berkeley Japan Alumni Association in Tokyo. and met former students in Beijing, China. and Hoshino had a dinner meeting at Nagoya. 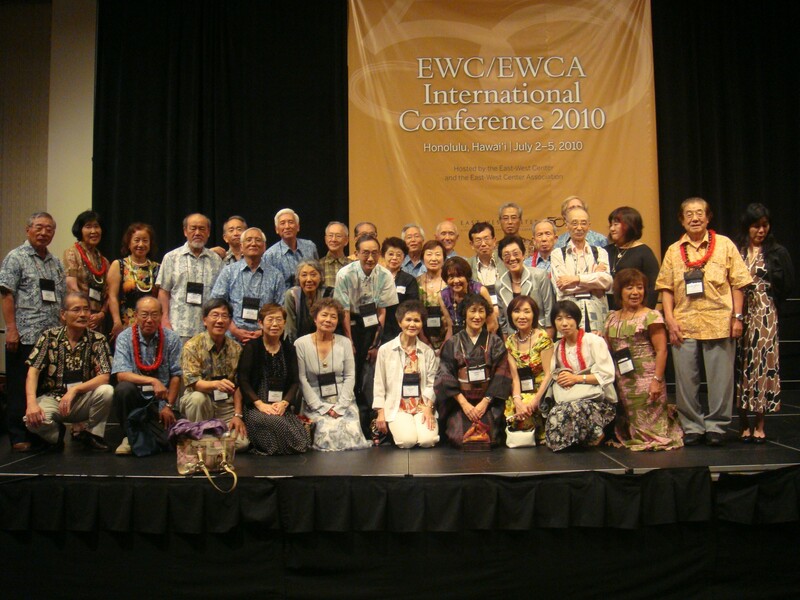 the EWC/EWCA 50th Anniversary International Conference 2010 "Leadership and Community Building in the Asia Pacific Region"
on July 2-5, 2010 at Honolulu, Hawaii. Obuchi Okinawa Education and Research Program at Okinawa Jichi Kaikan. "Long-term Employment Contracts in Japanese Companies and the Corporate Profitability in the Post Economic Bubble Era"
Journal of Financial Management and Analysis Vol. 22 No. 2, July-December 2009, 26-48. Dr. Jack Penm who is a Research Fellow, College of Business and Economics, Australian National University visited Tokyo for a period of March 17 to March 19, 2010 because of the joint research with Hoshino. Dr. Penm and Hoshino visited Japan-United States Educational Exchange Promotion Foundation, Tokyo Fulbright Association on 18 March, 2010. They visited The Japan-United States Educational Comission on the same day. He presented "Performance in the Stock Based Compensation of Japanese Firms"
Two books were published by Evergreen Publishing in September 2009. 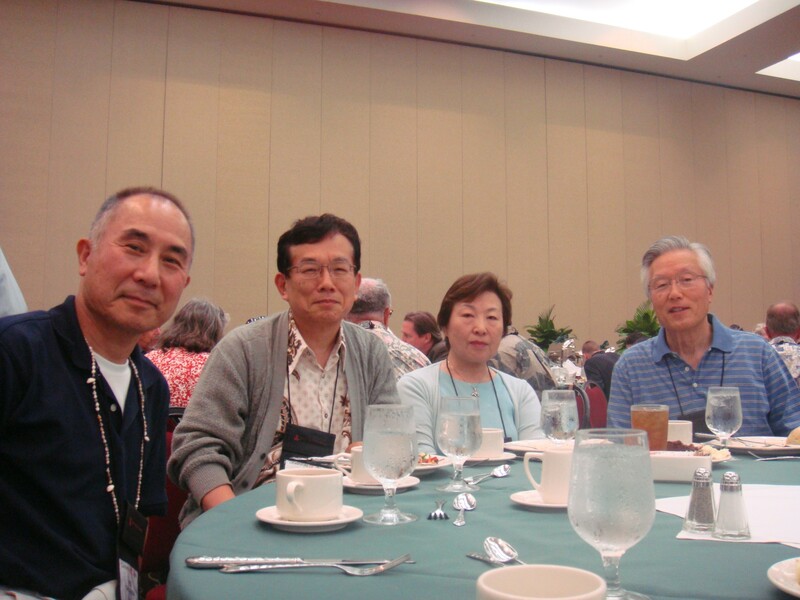 Sep. 14 to 19, 2009 in order to talk on joint research. "Entry mode Strategies and Performance of Japanese MNCs in Australia and New Zealand: the Role of Japanese Employees"
in Asian Journal of Finance & Accounting, Vol. 1, No. 1, pp. 87-105.
visited University of Tsukuba Law School at Akihabara, Tokyo on 21 Aug., 2009. "Implications of Firm Experiential Knowledge and Sequential FDI on Performance of Japanese Subsidiaries in Brazil"
Review of Quantitative Finance and Accounting, Vol.33, No.1, July 2009, pp.37-58. on PBFEAM and the 3rd International Conference on Business in Asia (iCBA) on 1-2 July, 2009.
at Performance Measurement Association Conference on 16 April, 2009. "Beginning of Stock Option-Based Compensation in Japan: A Test of Alternative Theories"
Journal of Financial Management and Analysis, Vol.21 No.2, July-December 2008, pp.11-35. 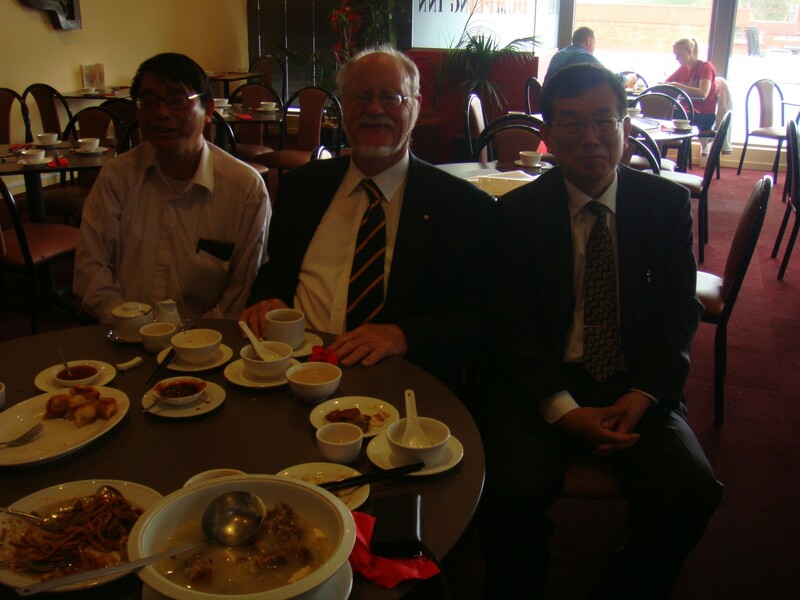 He visited Australia by Aichi University Grant-in Aid for Research for a period of March 19 to 29, 2009. A picture with Mr. Masahito Yamaguchi M.B.A., Managing Director, Nihon Brain Centre Australia Pty Ltd. and CEO, Able Net Pty Ltd.
His profile appeared in Marquis Who's Who LLC. ed., Who'sWho in the World 2009, 26th Edition, p.1145. was released in Japanese Journal of Administrative Science Vol.21, No.3, p.275 in December, 2008. 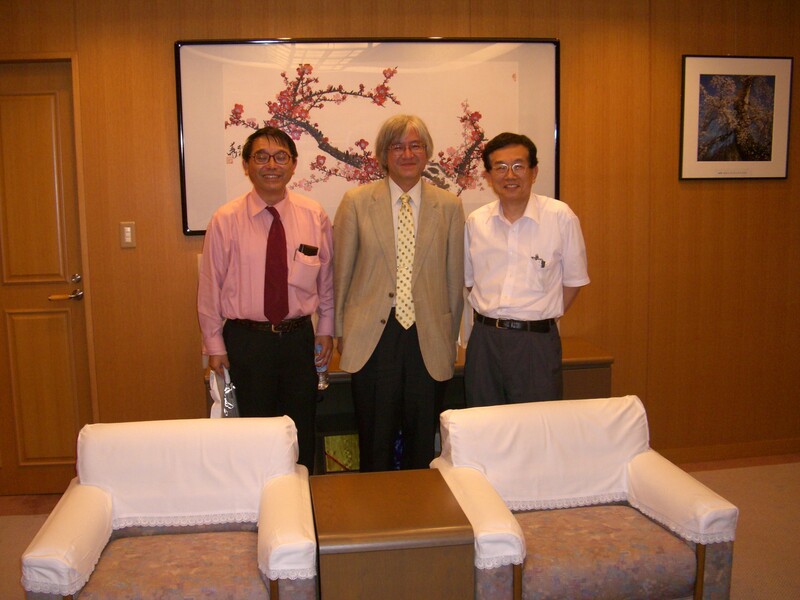 Japanese Association of Administrative Science, Chubu Chapter and Nanzan University on June 21, 2008. Japanese Journal of Administrative Science Vol.21, No.3, p.281 in December, 2008. Nov. 20 to 26, 2008 in order to talk on joint research. He met Professor R.D. Terrell (former Vice-Chancellor) and Research Fellow Dr. Jack Penm. 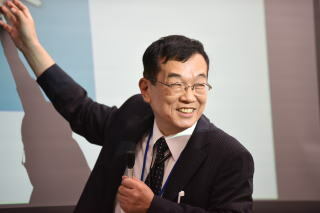 Prof. Motohiko Sato, who became the President after August 2, 2008. 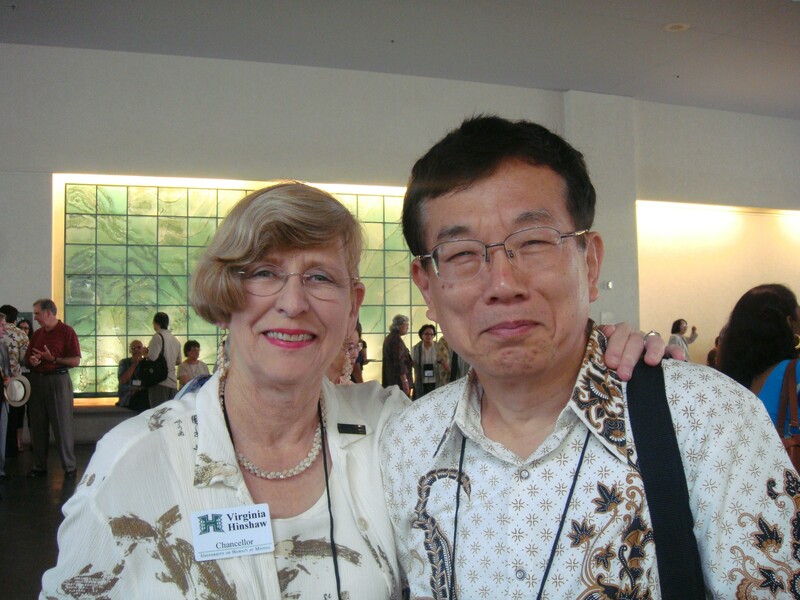 He became president of Chubu GARIOA/Fulbright Alumni Association. for a period of June 12- August 1, 2008.
of Japanese MNCs Subsidiaries in India"
was published in Journal of Developmental Entrepreneurship Vol. 12, No. 4 (2007) 433-447. Entry Mode on Japanese Subsidiaries' Performance in Brazil"
which appeared in Japan and the World Economy Vol.19. R.D. Terrell, T.J. Brailsford, T.J. O'Neill, Y. Hoshino andJ. Penm ed. was published by Evergreen Publishing in September 2007. August 17 to August 23, 2007 in order to talk on joint research. Professor R.D. Terrell (former Vice-Chancellor) and Research Fellow Dr. Jack Penm. He was given the title of Professor Emeritus, University of Tsukuba on April 1, 2007.